You might have thought that, with the American merger long-completed, US Airways was gone for good. This week, however, the airline won a major antitrust lawsuit over Sabre, the Global Distribution System (GDS). This case has obviously been in progress for years and years, and nobody actually expected it to go to trial. Now that it has and US Airways has won, the industry may finally be able to push through major changes to the way tickets and ancillaries are distributed. To understand what’s going on, we need some backstory here, but if you really want to get in-depth, here’s a three-part series on airline distribution I wrote back in 2013 that’s still relevant today. Since this lawsuit was filed by US Airways against Sabre, I’ll use those companies in the explanation, but keep in mind that dynamics are the same for all the big US airlines and the GDSs. That’s why this is so important. storefronts filled with dusty posters of far-away lands. Most of this revenue comes from giant agencies like American Express that represent corporate interests. If you work for a big company, chances are you book through a travel agency. Consequently, this is hugely important revenue and it tends to be high-dollar stuff since it’s corporate. There are three big GDSs in the US, but Sabre is the biggest. More than 35 percent of US Airways’s revenue came via that GDS which, as you can imagine, gave Sabre a whole lot of leverage. Remember the early days of the internet when there were web-only fares? If you’ve ever wondered what happened to those fares, the GDSs killed them. See, Sabre and others had been selling tickets for a really long time, and they recognized the internet was going to present some challenges since it was a lower-cost distribution channel with instant access to the world. To combat this, Sabre began pushing for so-called full content agreements. In short, these agreements said that anything the airlines sold in any channel also had to be made available for sale in Sabre. According to US Airways, this became an absolute requirement for any contract. The airline tried to pay higher fees to Sabre in lieu of the full content agreement, but it was told in no uncertain terms that wasn’t an option. Sometimes the provision made no sense. Apparently when US Airways started selling Choice Seats (paid seat assignments) and Sabre’s system couldn’t support it, Sabre tried to stop US Airways from being able to sell them through any channel because of its own shortcomings. Madness. With all this, why wouldn’t US Airways just tell Sabre to pound sand? It couldn’t without risking bankruptcy. Remember, Sabre generated 35 percent of US Airways’s revenue. Sabre could remove US Airways from its system entirely, or it could bias the system to push down US Airways flights where they wouldn’t be sold as often. This has been a time-tested practice which GDSs have used against airlines on several occasions. US Airways couldn’t risk losing that business, so it claims it had to sign with a gun to its head. If it’s so bad, why not just go to travel agents directly and provide them with a different system to use so they can bypass Sabre entirely? Ah, well, Sabre had an answer for that too. You’d think travel agencies would pay Sabre to use the system, but you’d be wrong. What happens is Sabre charges fees to airlines, and then it passes some of those fees along to travel agents as sweeteners. That can add up into very significant sums of money for the agencies, and it keeps them from being willing to switch. 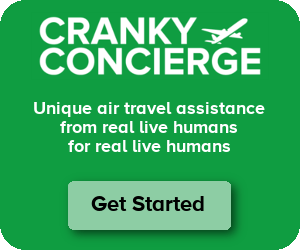 Let’s say US Airways offered to compensate agencies for the lost fees and provide a direct connection instead. Well, they can’t. I mean, they could make up for the lost US Airways fee revenue if they wanted, but what about all the other airlines that agencies book? Sabre apparently put minimum booking requirements or productivity bonuses into many agreements with agencies, so if US Airways wasn’t booked in Sabre, the agency might not hit targets. The biggest agencies have the heft to be able to try to push through these kinds of things in some cases, but it’s impossible for smaller agencies. Just be sure, the suit described how Sabre made some other moves to ensure that direct connections didn’t have a chance. How? Well, it blocked them entirely. At least, it straight-up blocked US Airways from offering a direct connection to agencies if US Airways wanted to keep selling its flights in Sabre. Ouch. Sabre also blocked direct connection providers from working with Sabre’s systems. Sabre isn’t just a GDS. It also provides back-office systems for agencies. And if the agency used a direct connect that couldn’t work with back office systems, it just wasn’t going to happen. US Airways wanted to use direct connects, because it was cheaper. Was there possibly another way to achieve the goal of reducing costs? Well, if you had the idea of passing on the GDS costs through to the customer, think again. That was also prohibited. (Lufthansa clearly didn’t have that restriction, since it’s doing just that today, but Europe is a different market.) Ultimately that’s not a good solution anyway. The right solution is to have a market where there’s a bunch of competition using newer technologies that will make for a better experience for just about anyone. But US Airways made the argument that it was blocked from ever being able to make that happen. Once the dust settles, we might know more about how this will impact distribution going forward. For now, it’s just not clear. This will hopefully mean that new entrants will have an easier path to success in the airline distribution space. With the industry body IATA creating a standard called NDC, airlines can work to distribute their information in a simple form that will make it easy for any Silicon Valley startup to do great things. This could be the beginning of massive upheaval in this industry that will break the logjam currently preventing distribution from modernizing. At least, that’s what many are hoping.. And it’s all thanks to an airline that no longer exists. US and AA didn’t ‘merge’ as was portrayed often in the media. US took over a company in bankruptcy, but saw the value in using their name. Why do you think all the management has been systematically replaced by legacy US people and the drastic livery change on the planes? Why do you think the morale is so bad? The livery change was announced before the merger was. AA had to change their livery because it wouldn’t work on the 787. Beyond the FA’s issues with their uniform what are the morale issues? AA’s unions strongly supported the merger and were onboard before it happened. I sold my last corporate travel agency 25 years ago and Sabre/ADS was my Life. Strange how some things haven’t changed much in that time! Ironic that something that was created by the old American (SABRE) just got sued and lost by the new American (US Air). Distribution system controls, frequent flier program administrative handling, credit card hookup admin., pricing department building and control over “fences,” and to think that I should question why my fare is so high? Sure, get rid of all this stuff and the argument is that fares would be ten times higher. Waitng for AA, DL, and UA, and everyone else to announce that they are merging/consolidating into one big US-flag airline…synergies, you understand! Happy Holidays acknowledged and accepted!! Somewhat ironic that Sabre was first developed by American. Had the merger happened earlier, American could have ended up suing itself! AA filed a similar lawsuit against Sabre but it was settled back in 2012. Sabre is the separate company in all this. Although American spun off Sabre quite some time ago. According to Wikipedia Sabre hasn’t been part of AA since 2000. Prior to bankruptcy, AA had an agreement with HP to develop a brand new res system. By “HP” do you mean Hewlett-Packard or America West? oldiesfan6479 – He means Hewlett-Packard. The Jetstream system was supposed to be a big improvement, but it was abandoned. I wonder if this will affect how Amadeus/Galileo work with carriers moving forward? As well as all GDS relationships with TMCs for that matter. Certainly looks that way. AJ – I would think this will impact every GDS. I’m not sure the other GDSs are as hard-line as Sabre is, but it will still make them think twice about their practices if this holds. Apollo still biases towards United. On an availability display all UA flights appear at the top regardless of departure time Jet Blue, Spirit and others appear near the bottom. To get Southwest flights you have to specify you want WN availability. TMC’s are no better, they have “preferred suppliers” who they will offer before others, this applies to hotels and car rentals also. If you have to book through a TMC do your research first! Mark – I think a TMC biasing is completely different. That’s biasing due to a user request. The corporate contracts that govern which airlines are preferred over others should allow companies to introduce bias as needed to enforce policies. But it’s when the GDSs do biasing for their own benefit that we have a real problem. The TMC’s have their own preferred suppliers and I know of at least one where the staff are told to push their preferred suppliers over the client’s preferred suppliers. mark – I’ve seen TMCs charge extra fees for booking non-preferred airlines, but I haven’t seen the bias directly in results myself. If I were a company and I saw a TMC doing that, I’d be looking for a new TMC immediately. It’s hard to detect when it’s happening. I heard that one major TMC used to book what you asked for in relation to rental cars but would then rebook to the TMC’s preferred supplier with the excuse that the vendor had advised that there was a supply problem with the original company.